Stihl, Big Green Egg, Outdoor Power Tools, Service & Repair, Apparel, Boots & Shoes, Dog and Cat Food, Pet Toys, Hardware Store, Rental Shop, and Auto Parts in Spencer Ma 01562. 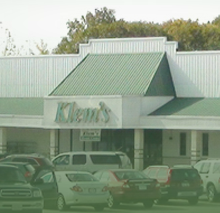 Thank you for visiting Klem's Contact Us Page. Our Policy Page is located under "Our Store"